A young Great Horned Owl assumes a defensive posture. 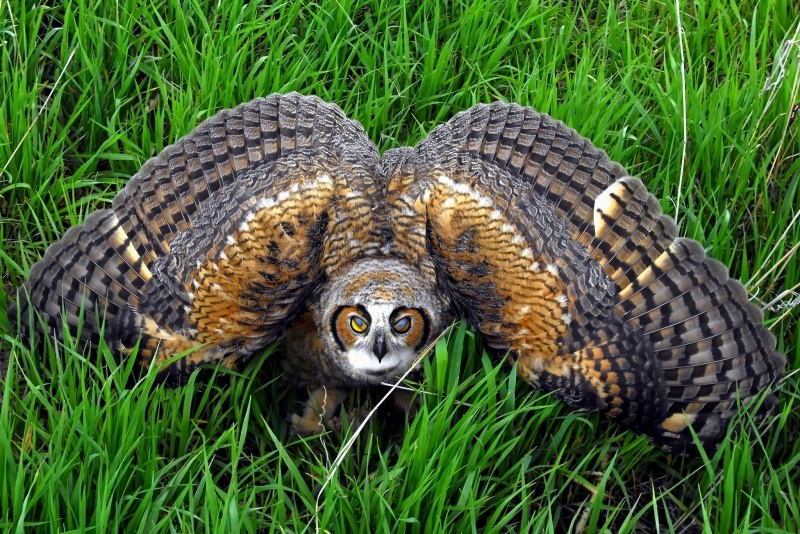 When protecting young or defending itself, an owl may assume a "threat" or defensive posture, with feathers ruffled to increase apparent size. The head may be lowered, and wings spread out and pointing down. Image © Deanna Beutler.